The Gay Gamer: The question is, where's Pauline on this otherwise-gorgeous, custom-painted NES? 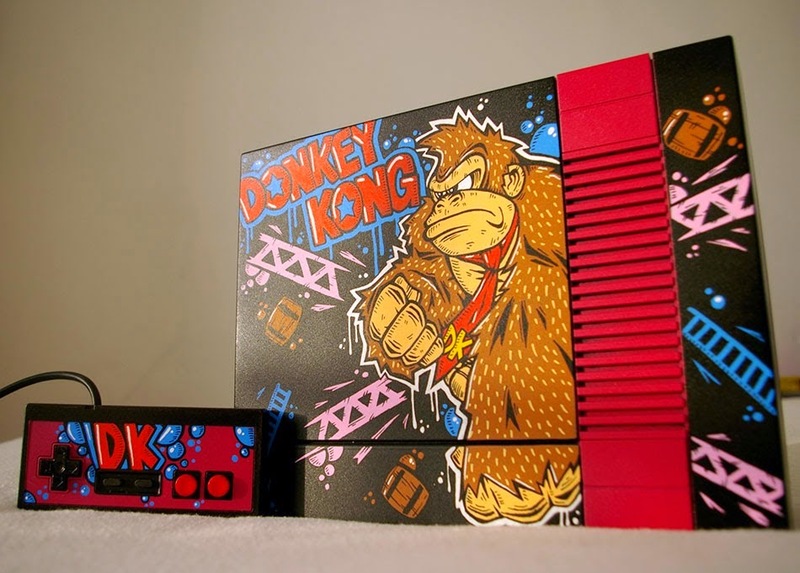 The question is, where's Pauline on this otherwise-gorgeous, custom-painted NES? I know what some of you are thinking, and my response that is, yes, I have a bit of a problem when it comes to salivating over the custom-painted game systems concocted by the artist professionally known as Oskunk. As I stated in this post's header, the only problem I have with this particular Oskunk creation is that it's lacking even a hint of Donkey Kong's resident damsel in distress, Pauline. Anyway, should you want to check out additional photos of this awesome NES, please direct your favorite browser to custom-art.blogspot.com. Maybe she got tired of waiting for Mario to rescue her and escaped on her own. Maybe she's crushed in Donkey Kong's huge fist. Ew. Pauline jam. I'd love to have seen an 8-bit representation of her on this one. Oh, that would have been nice, wouldn't it? The 8-bit representation, I mean; not the Pauline jam. Isn't it, though? And if you like that, Elliot, you should peruse Oskunk's blog and/or Flickr photostream. The things he's been able to paint on various consoles and handhelds are AMAZING!